has user programs, or tasks. Even on a single-user system such as Microsoft Windows, a user may be able to run several programs at one time: a word processor, a web browser, and an e-mail package. Even if the user can execute only one program at a time, the operating system may need to suppoft its own internal programmed activities, such as memory management. In many respects, all these activities are similar, so we call all of them processes. The terms job and process are used almost interchangeably in this text. Although we personally prefer the term process, much of operating-system theory and terminology was developed during a time when the major activity of operating systems was job processing. It would be misleading to avoid the use of commonly accepted terms that include the word job (such as job scheduling) simply because process has superseded job. Informally, as mentioned earlier, a process is a program in execution. A process is more than the program code, which is sometimes known as the text section. • New. The process is being created. • Running. Instructions are being executed. • Waiting. 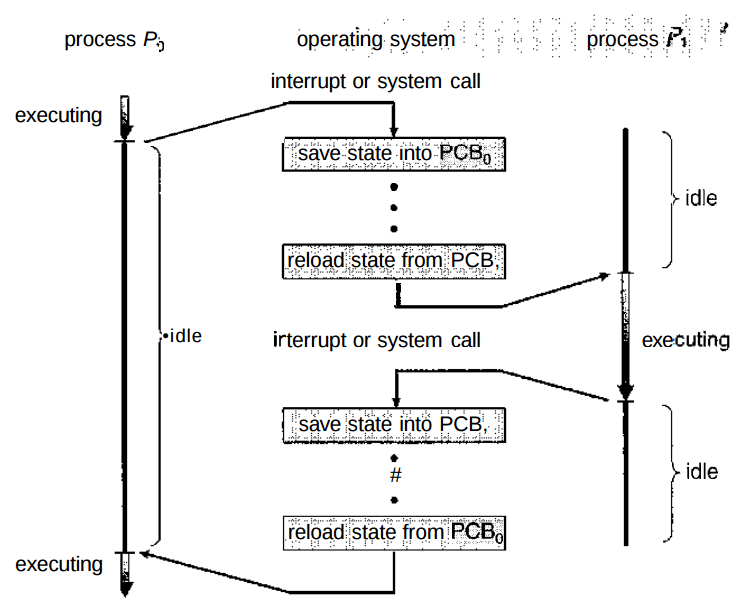 The process is waiting for some event to occur (such as an I/O completion or reception of a signal). • Ready. The process is waiting to be assigned to a processor. • Terminated. The process has finished execution. These names are arbitrary, and they vary across operating systems. The states that they represent are fotind on all systems, however. Certain operating systems also more finely delineate process states. It is important to realize that only one process can be running on any processor at any instant. Many processes may be ready and limiting, however. The state diagram corresponding to these states is presented in Figure 3.2.
to be executed for this process. 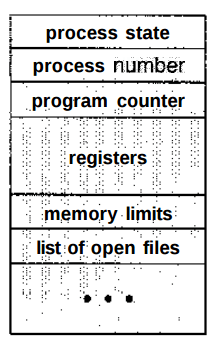 • CPU registers. The registers vary in number and type, depending on the computer architecture. They include accumulators, index registers, stack pointers, and general-purpose registers, plus any condition-code information. Along with the program counter, this state information must be saved when an interrupt occurs, to allow the process to be continued correctly afterward . • CPU-scheduling information. This information includes a process priority, pointers to scheduling queues, and any other scheduling parameters. • Memory-management information. This information may include such information as the value of the base and limit registers, the page tables, or the segment tables, depending on the memory system used by the operating system . • Accounting information. This information includes the amount of CPU and real time used, time limits, account mimbers, job or process numbers, and so on. • I/O status information. This information includes the list of I/O devices allocated to the process, a list of open files, and so on. In brief, the PCB simply serves as the repository for any information that may vary from process to process. 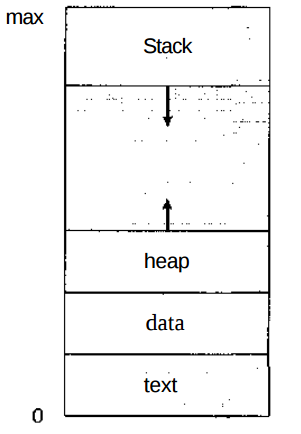 The process model discussed so far has implied that a process is a program that performs a single thread of execution. For example, when a process is running a word-processor program, a single thread of instructions is being executed. This single thread of control allows the process to perform only one task at one time. The user cannot simultaneously type in characters and run the spell checker within the same process, for example. Many modern operating systems have extended the process concept to allow a process to have multiple threads of execution and thus to perform more than one task at a time.